Driving a HGV or truck can yield many benefits, but it’s not as easy as you’d think. As well as training and licenses needed to become a truck driver, you also have to be punctual, knowledgeable of the road, and be conscious of the space your truck occupies whilst driving. 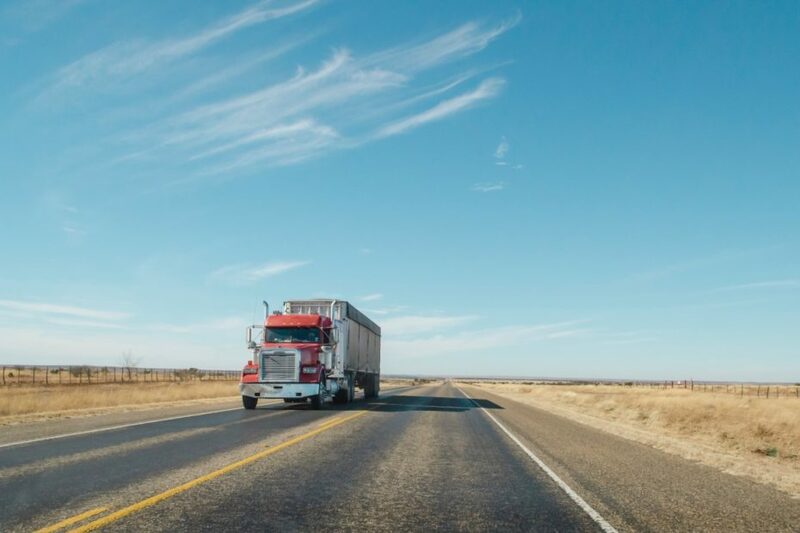 However, what many people don’t know about truck driving is the items and equipment a driver needs to ensure they carry with them on all their journeys. Many of these items are easily forgotten, but important none the less. So, we’ve put together a list of 37 items each truck driver should keep in their HGV, split into 7 categories. 1. FIRST AID KITS – These are a legal requirement for any truck driver. A standard first aid kit must include a leaflet giving general guidance on first aid, individually wrapped sterile plasters, individually wrapped triangular bandages, a safety pin, a large sterile un-medicated dressing, individually wrapped moist cleansing wipes and disposable gloves. 2. EMERGENCY KIT – Imagine this as a first aid kit for your HGV. They will usually include things like spare batteries, a flashlight, flares, jumper cables, a window de-icer, a wrench set, a knife, pliers, and fuses. 3. SAFETY CONES – If your vehicle breaks down break down, you’ll need to lay out an adequate area to manoeuvre around your HGV or truck (where safe). 4. HIGH-VISIBILITY SAFETY VEST – A high-vis safety vest is good to keep in your HGV for breakdowns and emergencies on the road. Many sites or depots you enter will also require you to wear them. 5. SAFETY APPAREL – Like the high-vis vest, general safety apparel is good to have for various reasons including arrival to drop-off sites. Safety apparel includes safety goggles, gloves, safety boots, and a hard hat. 6. DRIVING GLOVES – When you’re driving on the road for long periods of time, gripping the wheel can hurt your hands. Many professional HGV and truck drivers agree that leather gloves suit them better than racing gloves. 7. BACKUP GLASSES/SUNGLASSES – Because weather conditions can change quickly when you’re driving. So, no, this isn’t just to make sure you look stylish on the road. If you depend on glasses to drive, you’ll always want to carry a spare pair for obvious reasons. 8. SLEEPING EQUIPMENT – Making sure you have a comfy pillow and sleeping bag is a must when you’re on the road. If it helps, bring a picture of your kitty too. 9. COMFORTABLE HEADSET – When driving for long periods of time expecting calls, you’ll need a hands-free headset. These can hurt your ears and not have particularly good sound quality if you go cheap. So, whilst you’re on the road, you’ll want a comfortable headset that also boasts noise-cancelling properties, or else your call can be drowned out by the roar of your HGV. 10. HANDHELD VACUUM – For when your granola bar crumbs become too much to bear. 11. TISSUE/TOILET PAPER – Need we say more? 12. BABY WIPES – Think of these as a freshener. They’re great to make you feel that little less gross for a few hours. 13. HAND SANITISER – These are great for making sure your hands are clean before you eat. They work just as well as soap and water and take half the time to use. Meaning you can get back on the road in no time. 14. TOILETRIES/GROOMING TOOLS – Items such as toothpaste and deodorant are important if you want to remain somewhat presentable on your travels. Nail clippers, razors and combs are a must-have, too. After all, nobody wants Stig of the Dump arriving at their depot. 15. CLEANING SUPPLIES – Carry items such as like dashboard conditioner and all-purpose cleaner when you’re on the road. Plus, carrying your own laundry detergent isn’t a bad idea for when your HGV is parked up near a laundrette. 16. TIRE PRESSURE GAUGE – Using these every so often can help prevent big incidents whilst driving. 17. SCREWDRIVERS – For when small, easy-to-fix jobs need doing. After all, there’s only so long you can drive for before the part of your glovebox that’s hanging off becomes so irritating that you have to fix it. 18. BOXCUTTER/MUTI-TOOL – If your truck is transporting goods, there may be times you have to check up on them (only if instructed, of course). A boxcutter is another must-have tool for your HGV’s toolbox. Multi-tools are always handy to keep nearby, too. 19. ZIPTIES – You never know when you’ll need a ziptie. But, when you end up using one thanks to this list, you can consider yourself welcome. 20. LUNCH BAG – You’ll want to make sure you cater for all situations on the road (if you’ll pardon the pun). HGV and truck driving can include long trips, and you may want to vary your meals. Cooler bags and insulated lunch bags allow for variation in cold and warm foods respectively. 21. THERMOS – No, not the villain from that big superhero film everyone talks about. Using a thermos to keep your drinks hot is a great way of keeping your coffee hotter for longer on the road. 22. HEALTHY SNACKS – It can be easy to fall into the trap of only eating truck stop and fast foods when you’re driving a HGV or truck. But it’s important to stock healthy snacks like Fruit, crackers, seeds, nuts, and dark chocolate. 23. SLOW COOKER/ELECTRIC SKILLET – Having these in your HGV allows for more variation of meals on your trips. 24. ROAD ATLAS/MAP – If your technology fails, you have a backup for directions. There are also atlases specific for trucks and HGV’s available too. 25. FILE FOLDER – To keep all your receipts, orders and contracts in one, easy to organise folder. 27. PENS & PENCILS – It’s important to store these in your truck when you’re driving long distances on the road. After all, you never know when you might need to write down your number for another driver to arrange a dinner date. Why both pens and pencils? Well, pens for writing that stands out and stays on the page. Pencils for when the pens fail. 28. CHARGERS – This includes plugs and multiple charging cables for your devices. Nothing is worse than a phone you’re relying on for directions, slowly running out of battery and no cable to charge it with. Whatever you have in your cab that needs charging, make sure you have at least x2 of them all. 29. ADAPTORS – As a HGV driver, you never know where the road will take you (figuratively speaking. Of course, if you’re on a job, you’d like to think you would know where you’re going). So, having travel adaptors is always a safe bet, European ones especially. 30. BRAIN ACTIVITIES – Truck drivers can be away from their friends and family for extended periods of time. Furthermore, seeing long stretches of road all day every day can become repetitive. This lack of human interaction mixed with the somewhat repetition of what job can be draining. So, taking things to stimulate your brain on your breaks can really benefit your wellbeing. Sudokus, crosswords, puzzles and word search puzzles are all ideal to keep your brain active and healthy. 31. BLUETOOTH SPEAKER – Radios are all well and good, but sometimes you’re driving down the Autobahn in your HGV, you just want to listen to Britney Spears. So, if the radio isn’t playing a bit of Britney, why not hook up your phone to your Bluetooth speaker and sing Toxic to your heart’s content? 32. WINDSCREEN PHONE MOUNT – To stop you looking away from the road, a windscreen phone mount is a great item to have in your HGV. Especially considering most phones nowadays can be used for directions, music, calls and traffic updates. 33. POWER BANKS – For obvious reasons, having a power bank or two in your HGV is always a smart move. They’re able to charge your devices even when your engine is turned off. 34. MYLAR/FOIL BLANKETS – These blankets are important to have for emergencies such as breakdowns. They may make you look like a sandwich you brought from home, but they’ll certainly keep you warm. 35. SPARE KEYS – This is another one that may seem obvious. But, failing to keep a spare set of keys on your person can result in not only loss of earnings for late deliveries, but also result in other people laughing at you locking yourself out of your cab. 36. SPARE CLOTHING – Because driving your HGV whilst wearing your curry-stained t-shirt is just degrading. 37. CAFFEINE PILLS – For when you need a little pick-me-up on the road, caffeine pills are a suitable alternative to things like coffee or energy drinks. If you’re going to use these, you must ensure that you’re still within your legal working hours for the day. They can also give you a hard time sleeping, however.